With their new N-Pole 42.195 Limited Edition, Edox pays homage to the people who run the North Pole Marathon, which is truly a test of endurance. 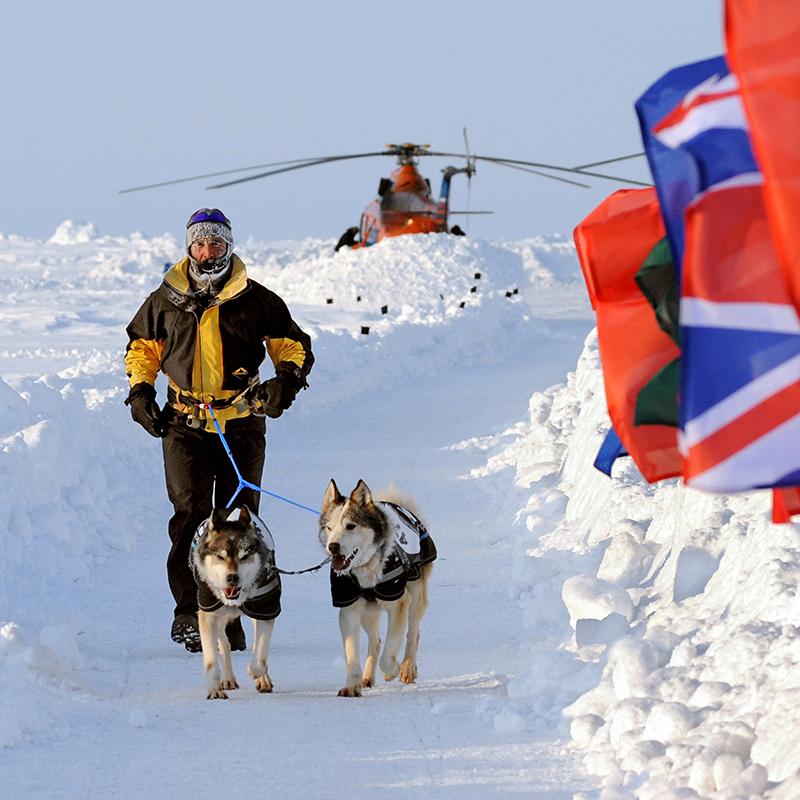 The North Pole Marathon is 26.2 miles long, as is the way of marathons, but the whole thing is run in a course on the ice, in temperatures so low that… well, you’re at the North Pole. Temperatures like that. Most people – and certainly most sane ones – would never undertake this in a million years, because the human race has a tendency to avert dying on the ice, or at least, I really hope we do. But then there are those people like Australian adventurer Marcus Fillinger, and, well, he’s just not that way. Marcus Fillinger is the kind of man who embraces the idea of a 26-mile run in polar conditions. And true to form, Edox is there to help Marcus Fillinger along. 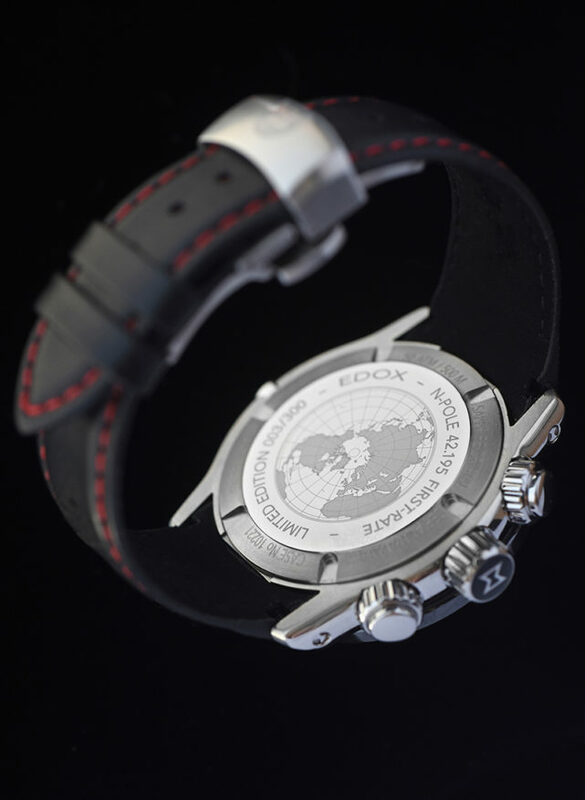 Edox’s particular way of helping was to develop the Limited Edition N-Pole 42.195 wristwatch. 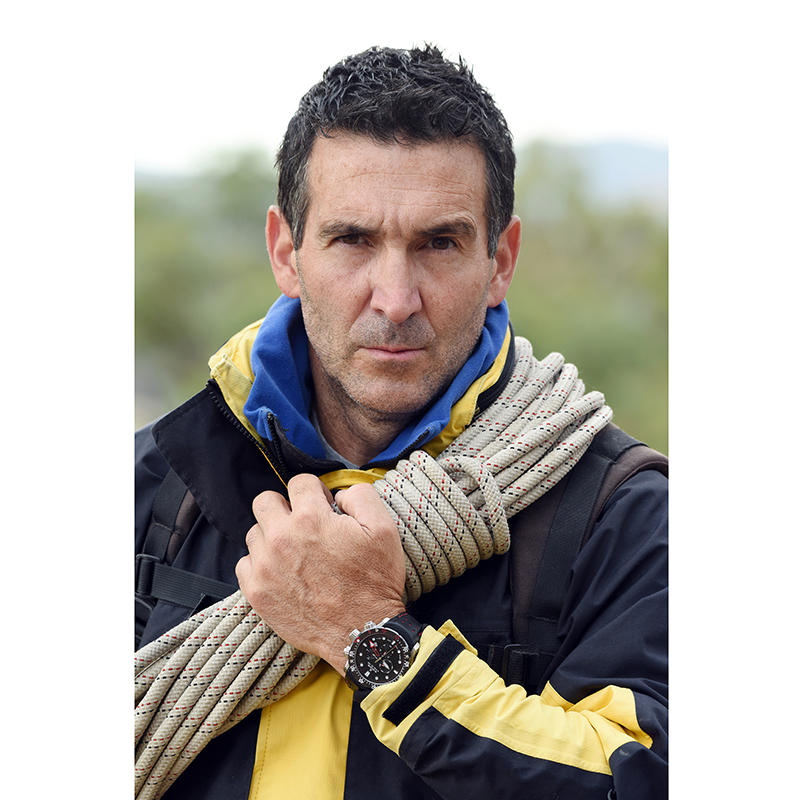 This is a precision timepiece, designed specifically to take Marcus Fillinger on his journey of what must surely be one of the most grueling marathons ever imagined. 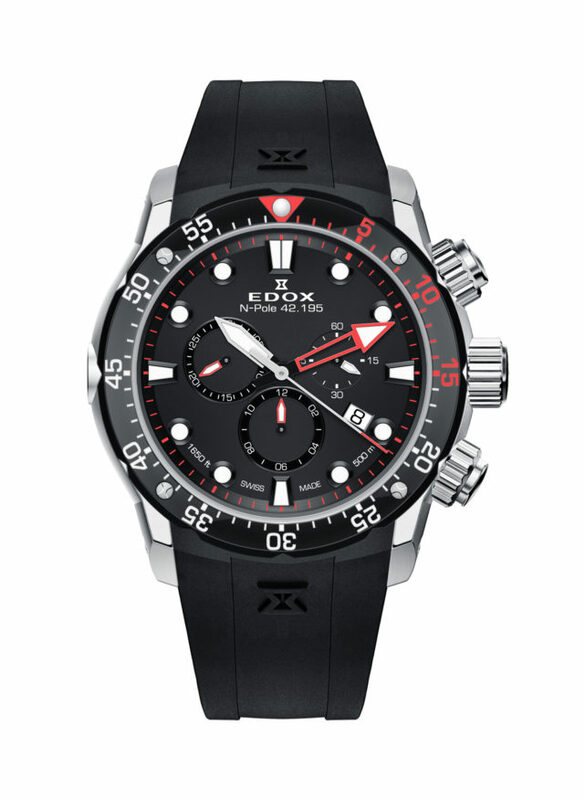 The Limited Edition N-Pole 42.195 wristwatch is limited to 300 pieces worldwide, and it is powered by the Swiss-made Edox 102 quartz movement. The steel case and highly-resistant ceramic bezel give it great wear resistance, which is just as well considering where it’s going to be used. It comes with its own box, and there is a special map engraved on the case back that shows the North Pole. Godspeed, Marcus Fillinger. Try to stay warm. 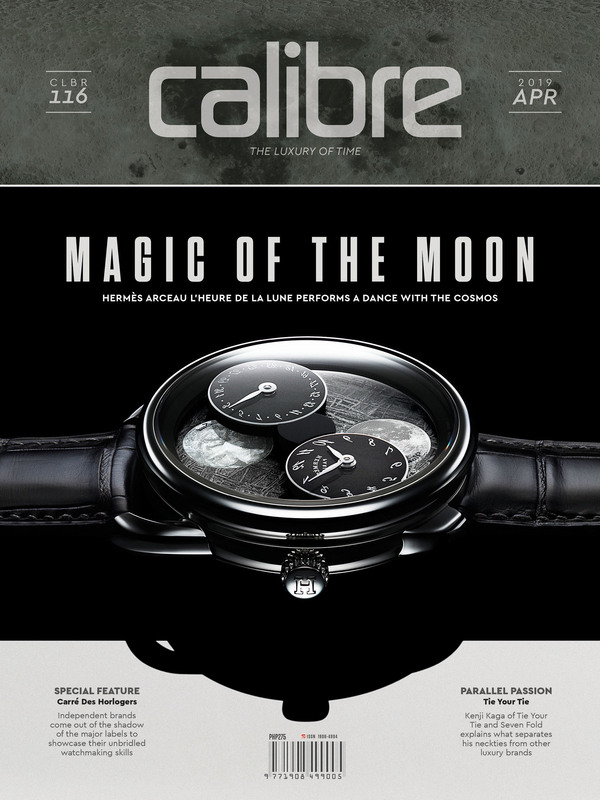 Case: Robust steel case with helium valve at 9 o’clock. 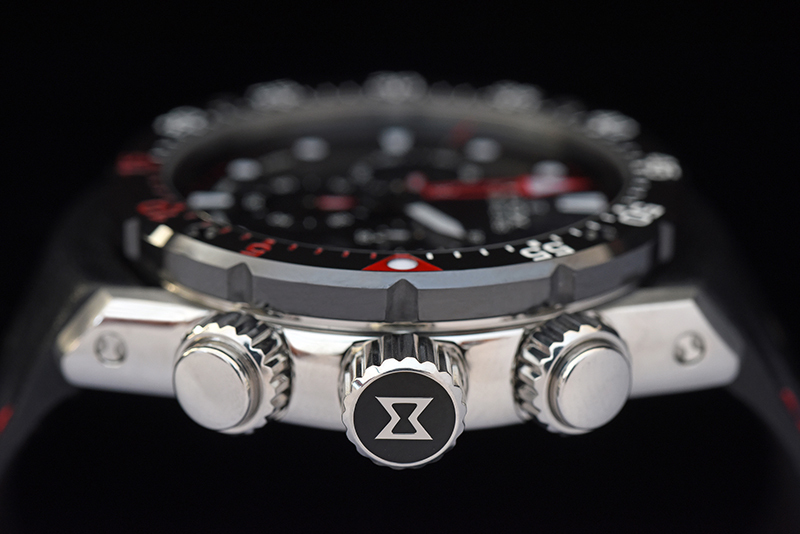 Dial: Black with white and red details. Strap: Genuine black rubber strap with red luminescent dots.